This may in part account for the differing interpretations here of Avatar, a movie I have not seen and do not intend to see unless, perhaps, it is broadcast free on TV one day. Are you beginning to get a sense of why some viewers noticed what they believe are underlying messages in the film? Some prominent members of the media who screened the film certainly took note. In a glowing review for the Chicago Sun-Times, Roger Ebert noted that Avatar “has a flat-out Green and anti-war message” that is “predestined to launch a cult.” Meanwhile Ben Hoyle, writing in the Times of London, noted that the film “contains heavy implicit criticism of America’s conduct in the War on Terror.” Further, Will Heaven of the Daily Telegraph said that the plot line involving people of color who wear “tribal” jewelry while sporting dreadlocked hair, being saved by a noble white man gave the film a “racist subtext” that he found “nauseatingly patronising. What I do with any production I’m interested in is trace its racial and ideological genealogy. The major force behind Avatar is filmmaker James Cameron, who is evidently white (a Canadian of Scottish or at least part-Scottish ancestry). His studio made the movie, and he wrote, co-produced, directed, and co-edited it. It therefore largely reflects his views as mediated by the Hollywood Establishment which would break any white man with an independent point of view. Cameron, while multi-talented, is like any white politician, journalist, or academic. He is successful because the rigid socialization process characteristic of his profession is congenial to him. I remember that the depiction of the Irish and other non-British passengers in Titanic, an earlier Cameron film, and particularly the malevolent portrayal of the ship’s English captain and crew, represented simpleminded, indeed childish (anti-Brit) racist stereotypes. Other significant contributors to Avatar are co-producer Jon Landau and co-editor Stephen E. Rivkin, who are Jewish, and the film’s distributor, 20th Century Fox Film Corp., a subsidiary of neocon media mogul Rupert Murdoch’s News Corporation. 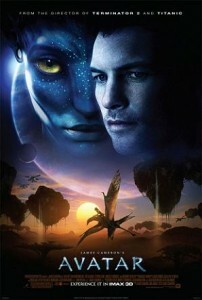 However, due to his pivotal role in the film’s production, Avatar’s views are essentially Cameron’s. Published: January 30, 2011 | This entry was posted in North American New Right and tagged Andrew Hamilton, anti-white propaganda, Avatar, James Cameron, movie reviews, North American New Right, reprints. Both comments and trackbacks are currently closed.